Document production is a key component in almost all legal cases. Your goodfirm Vancouver Family Lawyers can help you obtain documents crucial to resolving your family law matter. One recent change to disclosure obligations is the Supreme Court of British Columbia’s ruling that private and confidential journals must be handed over to the opposing party when at least some portion of the journal was maintained for business reasons. In Bartch v. Bartch, 2018 BCSC 811, the husband applied to the court for production of his wife’s personal journals from December 1, 2012 to August 31, 2014. The parties began living together in 1995. The wife stated that the parties separated in December 2012, and the husband stated that they separated in August 2014. In 2009, the parties became involved in a multi-level marketing business known as NuCerity International. In 2013, the wife incorporated a new business and rolled the NuCerity business from the parties’ joint ownership into her new business. The new business became extremely successful. The key issue in dispute was whether the success of the new business is a direct result of the wife’s efforts alone post separation. Each party retained a business evaluator to prepare an expert report. In preparation of the wife’s expert report, the expert reviewed a chronology of business activities from 2013 to 2016 provided by the wife. This chronology referenced the husband’s involvement in said business. The chronology for the years 2014 to 2016 was not as detailed as the chronology for 2013. However, this chronology also included a notation that in order for the business to be successful the wife had to keep a journal. The husband’s position was that the journals were clearly relevant and should be produced as they were provided to the wife’s expert in preparation of her report. He stated that the nature and extend of the wife’s contribution to the business was squarely in issue in this claim. The wife’s position was that the information contained in the appendix of the report, which included the chronology, was of a minimal assistance to the expert. 4) whether the journals still existed. The court determined that the journals were relevant. The chronology formed part of the expert report and the efforts of the parties was a critical issue in this case. There was a stark contrast in the amount of detail provided by the wife when she had her journals on hand and when she did not. The court inferred that the details of her daily events for 2013 were compiled primarily from her review of her journal and not from her memory as she claimed. If her memory was the primary source of information, then she should have had similar if not greater level of detail for subsequent years. Lastly, the husband was not expected to remember all of the details of his contributions to the business and the journals might help to fill this knowledge gap. 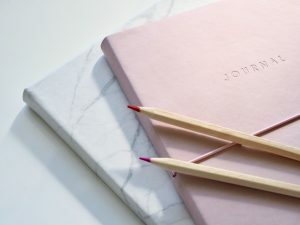 The wife argued that her journals were a private and personal space where she wrote her thoughts, emotional and personal struggles, and opinions. Therefore the journals were intended to be private and confidential. However, the court disagreed. The writings must originate in a confidence that they would not be disclosed. The activity of the secret writing is important if not essential to the healing process. The healing process is such that in the opinion of the specialists (and therefore society) it ought to be strongly encouraged. The possible injury to the ongoing healing process is far greater than the benefit gained by disclosure. The court found against the wife since she failed to establish that the writing was an essential component of her healing process. There was no evidence that she kept her journals for any therapeutic process and her thoughts and opinions were intermingled with her recordings of her daily work events. In document disclosure applications, the court takes into account the principle of proportionality. It is the amount of time and money parties must be expected to spend obtaining requested documents of nominal probative value. In this case, the court held that the journals may contain information about the parties’ involvement in the business and it should not be too laborious for the wife to obtain these journals. The court ruled that at the very least the wife should be in possession of some of the journals she provided to her expert in preparation of the export report. In addition, the husband had been asking for production of these journals for about 5 months and she was aware of this request. Only in the wife’s response to this application she suggested loss or destruction of some of the journals. Prior to this application she only resisted production. The court ordered that should the wife not provide the journals to the husband, then she had to provide an affidavit that outlined the efforts she had made to locate the journals and explain why they can no longer be found. The goodfirm Vancouver Family Lawyers have the expertise and experience to make sure you obtain all the documents crucial to your family law case. Give us a call today to schedule your free consultation. This website is my aspiration, real superb design and perfect content.